"I've learned... That life is tough, but I'm tougher. " "I've learned... That when you plan to get even with someone, you are only letting that person continue to hurt you. " "I've learned... That just one person saying to me, 'You've made my day!' makes my day. " "I've learned... That no one is perfect until you fall in love with them. " "I've learned... That opportunities are never lost, someone will take the ones you miss. " "I've learned... That being kind is more important than being right. " "I've learned... That I wish I could have told my Mom that I love her one more time before she passed away. " "I've learned... That love, not time, heals all wounds. " "I've learned... That everyone you meet deserves to be greeted with a smile. " "I've learned... That the less time I have to work with, the more things I get done." "I've learned... That when your newly born grandchild holds your little finger in his little fist, that you're hooked for life. " "I've learned... That everyone wants to live on top of the mountain, but all the happiness and growth occurs while you're climbing it. " "I've learned... That when you're in love, it shows. " "I've learned... That to ignore the facts does not change the facts. " "I've learned... That a smile is an inexpensive way to improve your looks. " "I've learned... That when you harbor bitterness, happiness will dock elsewhere. " "Andy Rooney, a man who has the gift of saying so much with so few words, enjoy. " "I've learned... That one should keep his words both soft and tender, because tomorrow he may have to eat them. " "I've learned... That no matter how serious your life requires you to be, everyone needs a friend to act goofy with. " "I've learned... That the best classroom in the world is at the feet of an elderly person." "I've learned... That we should be glad God doesn't give us everything we ask for." "I've learned... That simple walks with my father around the block on summer nights when I was a child did wonders for me as an adult. " "I've learned... That sometimes all a person needs is a hand to hold and a heart to understand. " "I've learned... That money doesn't buy class. " "I've learned... That life is like a roll of toilet paper. The closer it gets to the end, the faster it goes. " "I've learned... That it's those small daily happenings that make life so spectacular . " "I've learned... That I can always pray for someone when I don't have the strength to help him in some other way. " "I've learned... That the easiest way for me to grow as a person is to surround myself with people smarter than I am. " "I've learned... That having a child fall asleep in your arms is one of the most peaceful feelings in the world. " "I've learned... That you should never say no to a gift from a child. " "I've learned... That under everyone's hard shell is someone who wants to be appreciated and loved. " Matt was born and raised in Vancouver BC and lives in Kitsilano, enjoying all the amazing places to swim, bike and run train here on the west coast. He has always been running with a spirit for life and people unmatched by most. 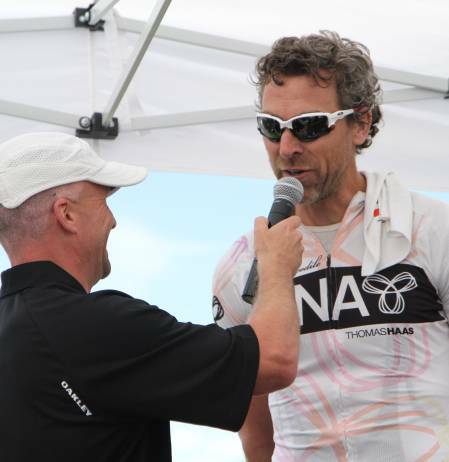 He has crossed the Ironman Canada finish line seven times. At last count he’s run close to 300 marathons while running across Canada and around the perimeter of America on a tour called Run for One Planet. (http://www.runforoneplanet.org/). He has enjoyed 25 years in Film and TV, playing everything from; Raphael in the Teenage Mutant Ninja Turtles to Jackie Chan’s deputy in Shanghai Knights. As well as voicing cartoon characters like; “Ed” in Ed Edd & Eddy to “Tender Heart” on Care Bears. He’s also the voice behind hundreds of radio commercials from Granville Island Brewing to Whole Foods Market. 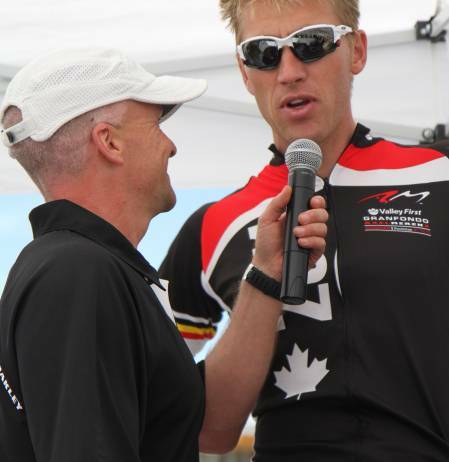 Matt’s passion for running, triathlon and all things racing led him to the announcer’s seat (though he seldom uses it) after being asked to call racers to the top of Rickter Pass at IMC, by friends and fellow team mates; Legend Steve King, Jordan Back, Tony Davies and Mick Maguire. That magic first announcing experience struck a cord inside his heart and his vocal cords and quickly led him back the following year to announce atop both Rickter Pass and Skaha Lake. 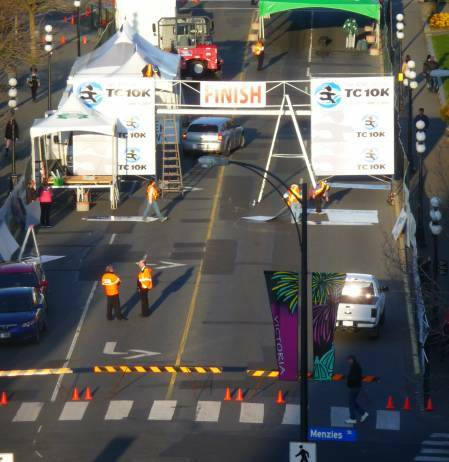 Since then it has opened up many fun Race Announcing experiences for; The TC10K in Victoria, The Oak Bay ½ Marathon & Kids Krazy K, Capital of Texas Triathlon (Expo, Kids K & Awards Ceremony), the Grand Fondo Penticton (Kids Event & MC for Athlete Baquet). 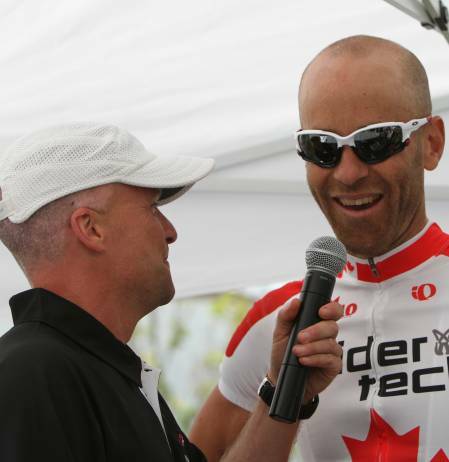 Completing 2011’s summer race schedule he’ll be assisting at Ultraman Canada and back atop Rickter Pass and Skaha Lake with team BEST at IMC in late August. 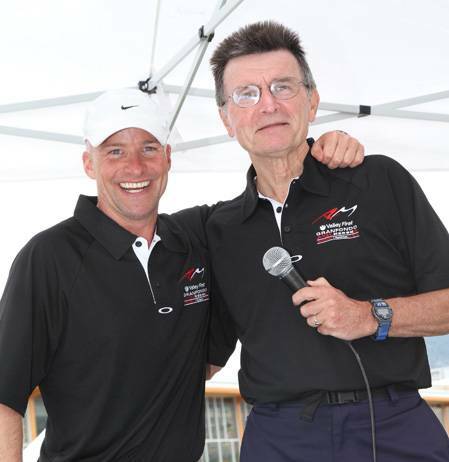 The fall schedule has Matt announcing the Bear Mountain 10K and assisting Steve King once again at Ultraman Hawaii. 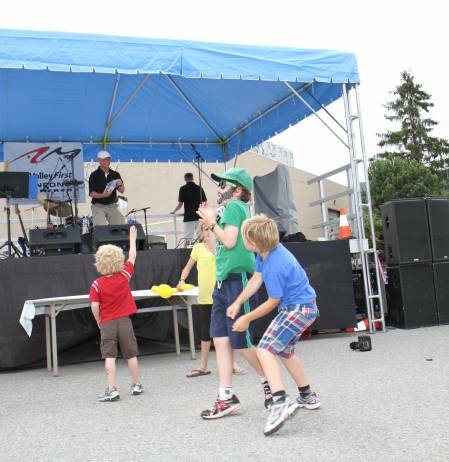 Matt’s familiarity in cartoons with kids and big kids alike (the adults) hearing him on the radio has him specializing calling; Kidz Events, MC for Athlete Expos’ and Award Ceremonies respectively. 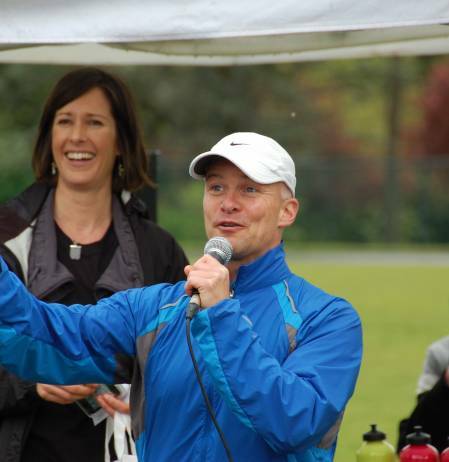 For information to have Matt announce your event, please call him at 778-838-7417 or email Matt@runforoneplanet.org.